Halo Hair Designs has a broad selection of gifts for everyone. We offer a wide variety of gifts for guys and gals. You can browse our eclectic variety of jewelry, hair accessories, scarves, sunglasses, candles & more. Whether your budget allows $5 or $50 to be spend on those extra goodies in life, Halo Hair Designs has something to fit within your budget. Not sure what to get that friend, family member, husband or wife? 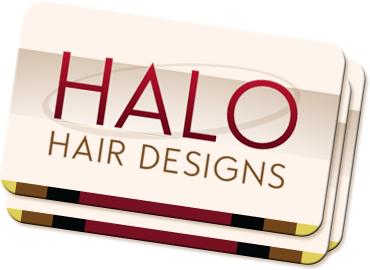 How about a gift card from Halo Hair Designs? Choose the amount and wrap it up for that special person today. Gift cards can be used for gifts or any of the services Halo provides.